Misrepresentation | Wott's Up With That? 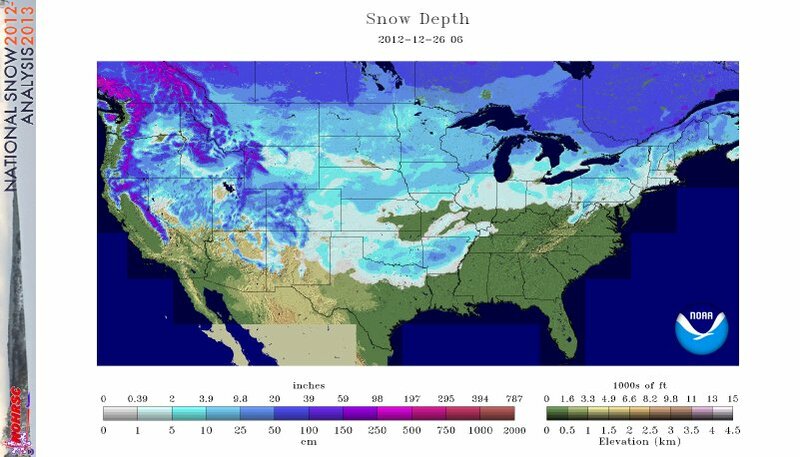 “A Cool White Christmas – almost two thirds of the continental USA has snow cover” (2012-12-26). Snow! In Winter! Global Warming is over, Anthony Watts assures us. Wait, didn’t it never start? Or was it that Global Warming ended 16 years ago? 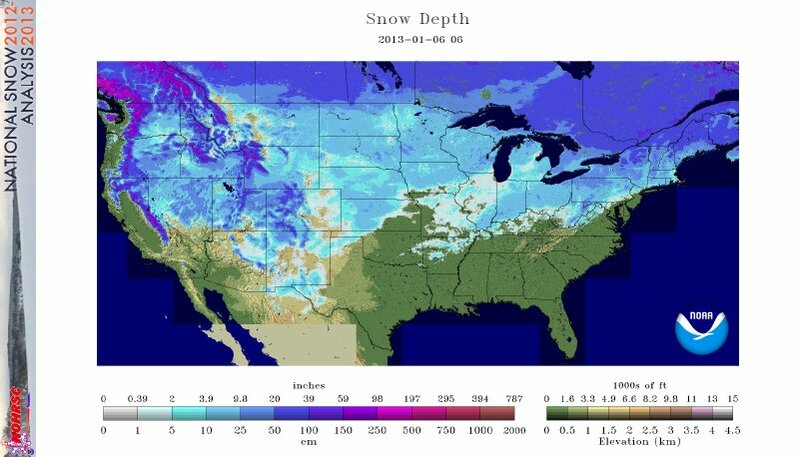 Still, snow this Christmas in North America puts the lie to British climate scientist Dr David Viner’s speculation that snowfall in Britain will be rare at some unspecified time in the future, doesn’t it? It does if you’re Anthony Watts battling a straw man. Once again anything that supports Anthony’s assertions is climate while anything that contradicts him is weather. “IBD picks up my article on the US cooling trend” (2011-11-11). Wow, the mainstream media gets it! Anthony Watts has made it to the big time! Oh, the “IBD” is the Investors Business Daily. Seems they love them some stupid, which makes their Watts-miration quite understandable. Here’s some tidbits from their deeply scientific editorial Don’t Stop Doubting, mixing Muller-spin with garden-variety denialist chart pumping (an old standby in investor circles too). The alarmists, of course, leveraged Muller’s statements to suit their agenda. But Muller’s [conclusion] is not the “consensus” position of the team. Granted, the Lower 48 aren’t the entire world, [but] “heat islands” — big cities —  should be skewing temperature data upward. we remain skeptics and would be even if [Muller] were right. Seems oddly emphatic for a subject so far out of their area of expertise. I guess it’s unsurprising that it’s so short on substance too. Still “don’t stop doubting” is good advice even if the IBD editors swallow Anthony’s line in a single gulp (they even think he’s a meteorologist). I know I won’t be taking scientific advice from a stock-picking website. “Hump day hilarity: Chris Mooney’s abby-normal post modern science” (2011-11-09) and “Mooney pulls a Muller” (2011-11-10). After years of announcing how he was going to prove Global Warming was a lie (but utterly failing to do so), Anthony decides to castigate anyone else who talks about their conclusions before formal publication. Only the targets of his hypocrisy have simply released drafts of submitted papers (the previously beloved Dr. Muller) or described a book they are still writing (Chris Mooney’s The Republican Brain). Anthony, you may recall, loudly and repeatedly announced that he was going to prove that the temperature record was both inaccurate and tampered with, and that climate scientists were corrupt socialists. You may also recall that he was 99 44/100% wrong. So what has twisted Anthony’s shorts this time? You’re going to love this: He’s attacking a book that hasn’t been finished yet, claiming that it portrays conservatives as idiots who jump to conclusions! Nice stick-work there, Anthony. Seems like finishing your book is kind of redundant now, Chris! You can read his take on the response is here: Conservatives Attack and Misunderstand A Book They Haven’t Read… A Book About Flawed Conservative Reasoning. “ATI press release on the Mann UVA emails” (2011-08-27). Funny. You’d think that Anthony Watts would report the conclusions of the National Science Foundation Inspector General’s investigation into the accusation that climatologist, and denialist flash-point, Dr. Michael Mann falsified his data when he “created” the famous “hockey stick” historical temperature chart. Instead Anthony offers the American Tradition Institute’s op-ed whining (italics mine). The University of Virginia has joined a list of institutions claiming that there has been an actual inquiry into, and even ‘exoneration’ of, scientists exposed by the November 2009 “ClimateGate” leak, while simultaneously through its actions making a mockery of the idea. Funny as in slapstick. Funny as in a bungled magician’s trick. “Bastardi: Science and reality point away, not toward, CO2 as climate driver” (2011-08-12). You know when Joe Bastardi guest-posts on Anthony Watts’ blog you’re in for a chuckle. Here he’s trying to expand on (spin?) his whopper-fest on Fox News a few nights ago. With the coming Gorathon to save the planet around the corner (Sept 14) , my stance on the AGW issue has been drawing more ire from those seeking to silence people like me that question their issue and plans. In response, I want the objective reader to hear more about my arguments made in a a brief interview on FOX News as to why I conclude CO2 is not causing changes of climate and the recent flurry of extremes of our planet. I brought up the First Law of Thermodynamics and LeChateliers principle. After years of smack-downs he’s still pushing the “since 1997” lie, still trying to fake it. Here’s an example of Joe Science. The Bastardi supercomputer works overtime providing detailed statistics. There’s an outraged analysis at Scientific American titled Fox Commentator Distorts Physics, and Climate Progress gives us Joe Bastardi Pulls a Charlie Sheen on Fox News, Pushing “Utter Nonsense” on Climate Science. Still waiting for Joe’s re-explanation, although he does add his own meandering comment that suggests we wait 30 years to see that he was right all along. Bad Astronomy’s Phil Plait scrutinizes Joe’s so-called arguments at Big Picture Science: climate change denial on Fox News.